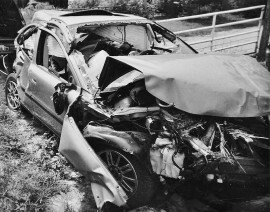 If you've been injured in a car, truck or motorcycle accident, it is important to hire a lawyer as soon as possible. The longer you wait, the more likely it is that important evidence will be lost or that witnesses’ memories will fade. Also, claims involving traffic collisions often involve complex insurance coverage issues. Couch Pierce King & Wharton can make sure that any and all available insurance coverage is uncovered so that all of your medical bills are paid, your lost income is reimbursed and your future is protected. You only have one chance to settle your injury case. As soon as you sign on the dotted line, your case is finished. You can’t go back to the insurance company for more compensation. It’s important to consult a lawyer to make sure that the insurance company is paying all that you are entitled to and that your rights are protected. Call or send us an email today for a free one hour consultation and case review.